The principal aim of photography is to capture precious moments. The moments are precious. So, we are always in a rush to have them in our fist. But all the times this is not possible. We cannot grab them. Sometimes, we take photos to remember them. As a result, photography has been extended into several branches. The needs of perfections also arise at the same time. Thereby, different specialized techniques like Photo Retouch Services appeared. The services make the photos look beautiful. They also help to make them look professional. What is Photo Retouch Services? In brief, photo retouch services are the set of photo editing service which aims to make the image better than they really are. Actually, the service is the combination of several functions. It includes brightness and contrast adjustment. Besides, there are some other tasks available as well. They include – photo cropping, removing the edges, changing the color tone etc. among others. Whatever the activities are, they make the photos looking better than before. There are no specific set of services are here. But a photo editor can take the responsibility of making them better. So, he can apply any sort of services he needs. Considering the necessity of photo editing, the photo editor will take all the other necessary steps. This is a flexible matter for him. Besides, the clients also do not interfere in this matter. So, he can retouch the photos liberally. There are no restrictions available as this is a sophisticated job. Photo Retouch Service has its needs in almost every sphere of our life. We take photos for numerous purposes. Not all the time we have the right images. But we can make them look perfect once we get the service. Alongside individual needs, organizations also need photo retouch services. A list of people and organizations here will explain the facts clearly. Well, the interests of the Photo Retouch Service are huge. A professional photographer is unable to do a day without the assistance. At the same time, the service is also supportive of other groups of professionals. This is impossible to explain the benefits of the service in simple words. So, the explanations of the benefits are here. They will help you to get a complete idea about it. With the passage of time, everything is becoming competitive. If you cannot expose your product or services, you cannot expect for survival. Your competitors will grab your berth. Since this is the age of science, they manipulate their products. Adding up some of the catchy photos is one of the best ways. But not all the images are up to the mark. Some of the images are bad. Even more, they are not able to be presented in front of the audience. But you can manipulate the photos using the Photo Retouch Service. The services come with a set of deals. They help to remove the flaws from the pictures. Besides, the expert photo editors are able to brighten the photos. Bringing a natural look is another way to make the photos look better and helpful. This is only possible when a photo editor applies the editing on the pictures. Consequently, you get better exposure to the products which result in better sales. You earn the profit. In the present days, a brand is the most crucial issue. Despite being poor quality, the products get a demand considering the brand value. So, everyone is on a race to create their brands. Well, this is a common trend in the business world. If you consider the brand value, you will see that many low-quality products are on the top. But of course, you are not going to sell the low-quality products to your clients. You can build a brand easily with the support of Photo Retouch Service. First of all, the services come with a set of techniques. When a photo editor applies the Photo Retouch, s/ he apply a notable number of methods. In fact, photo retouching is not a simple issue. You need to focus on the photo properties. Sometimes, the photos need cropping. Adjustments of the other conditions also appear necessary. All the elements help to create the retouching. Thus, you get a nicely edited photo. They build your brands when you apply the photos for promotions. When a professional photographer takes photos, there might be several objects. Removing the objects during the photo shoot may not be feasible as well. So, what to do then? Well, the solution is simple. You can apply the Photo Retouch Service. The critical aim of photography in business is to arrest the attention of potential clients. But when there are lots of subjects in a photo, they cannot focus. For instance, if you sell pens and advertise with pictures, what you want to show there? Pens or something else? Yes, there should be pens. But if there are many other objects, the pens will lose their focus. The Photo Retouch Service is able to bring back the attention on the pen. With the modern techniques and tools, the service will remove the other objects. As a result, your pen will be on the focus. At times, the photographers are also unable to remove the other objects. Considering the reality, the photo editors are able to do what the photographers cannot do. They can quickly change the backgrounds of the photos. Removing the unwanted objects is also not a big deal for them. When they do all the things, they remain careful too. As a direct result, the final outcome brings the attention of the audience. Moreover, the users can use the photos for different purposes. They can use photos for advertisements. Besides, they also can use the images for publications too. If the users want to use the photos for web ads, they also can do that. There are no such issues that you cannot use the photos on other platforms. At times, it becomes tough to use the same images for several purposes. It happens for the photo properties and the amateur techniques. But when a skilled photo editor retouches the photos, there are no such problems. The images become compatible with all types of platforms. So, if you are worried about the application of photos to other platforms, you are free of worries. The Photo Retouch Service is a group of activities that will never let you down. The actions are able to make the photos look good. Simultaneously, they will customize the images to suit on several platforms. As a user, you have to instruct about the platforms. The photo editors will do the rest. If you want the photos to use on a more massive billboard, you can do that. Further, if you’re going to use the images for your social media platforms, there is no bar in that. You can do that easily too. 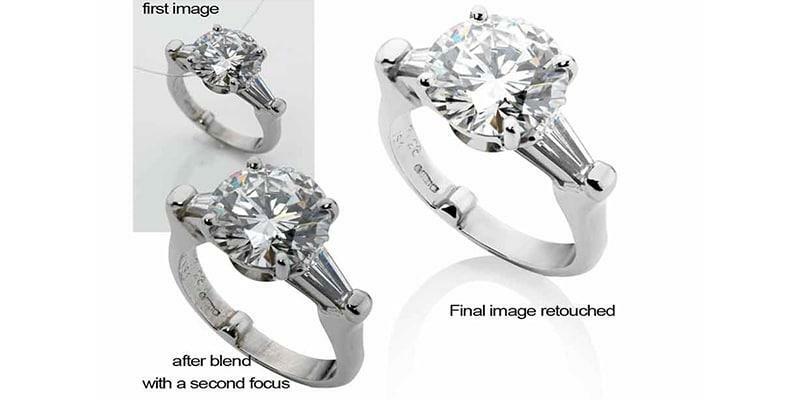 Clipping Maker is one of the leading Photo Retouch Service providers in the industry. The company is able to provide a notable number of similar service on a single day. Besides, the experts in this platform know the needs of the clients. They try to tailor the needs based on the requirements. A bunch of skilled professionals is working at Clipping Maker. As a result, the agency has become a leading one immediately after its inception. The dedicated quality control managers invest their time to check over the quality. And most importantly, we can deliver the retouched photos maintaining the deadline.